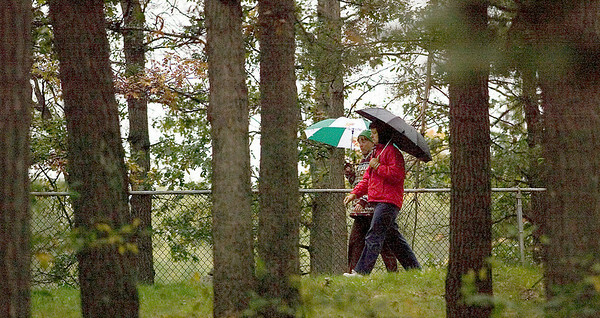 Andrea Ballast, left, and Pam Davis walk at the Grand Traverse Civic Center on a rainy Monday afternoon. The two walk every Monday after school at Traverse City Central High School, where they work. "Rain or shine so far, but we'll see when the snow is up to our knees," said Davis.